Are you suffering from data lost with your iPhone5S? Perhaps your iPhone5S is broken, and the data disappeared. Or failed update makes the data lost. For whatever reason, a data recovery tool-iFonebox will help your iPhone5S. Do not worry about the data lost any more. iFonebox gives you a chance to recover the data you thought you would lost forever, such as Contacts, Messages, Call History, Notes, Calendar, Reminders,Safari Bookmark and so on. It enables you to recover data from iPhone5S directly, or restore iPhone5S data from backup. You are also allowed to preview the data and recover selectively. So, let’s learn more about the data recover tool! 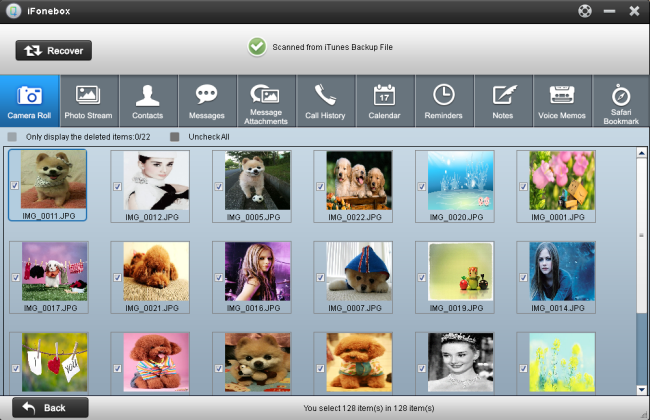 Free Download the iFonebox by clicking the icons below to have a try! iFonebox will scan your iPhone5S automatically. Then you will see all of the data displayed in the interface. You can click the data you want to preview including the deleted one. 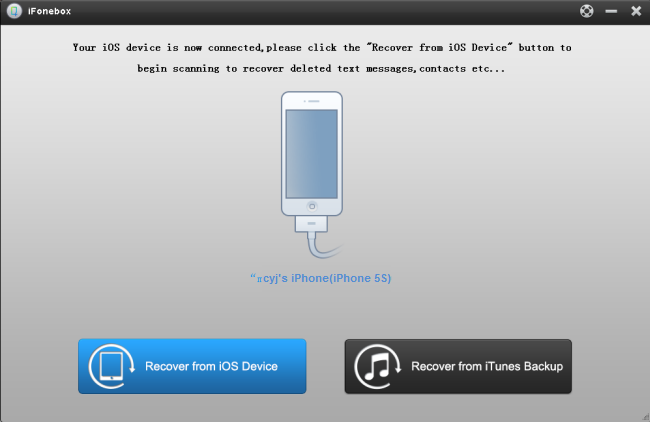 Then, select the one you want to save them by clicking “Recover” bottom. Note: If you want to separate deleted and existing ones, you can use the checkbox”Only display the deleted items”. Run iFonebox and connect your iPhone5S to the computer. You’ll see the window below. 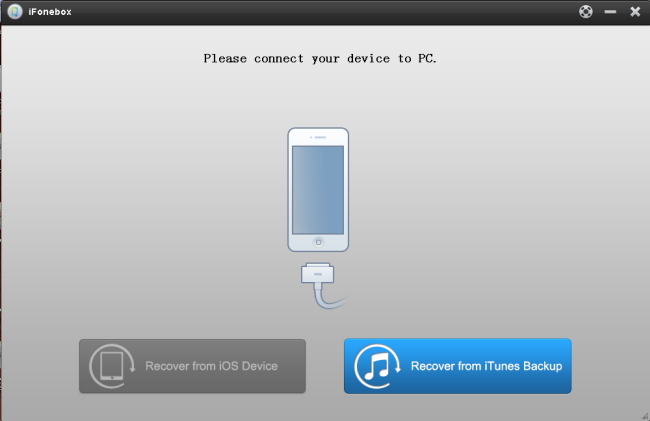 Then select “Recover from iTunes Backup” to scan the data. Then you will see all your iTunes backup files displayed in the main interface, select the one for your iPhone5S and click “Start Scan” button. You will see all of the data displayed in the interface. You can click the data you want to preview including the deleted one. Then, select the one you want to save them by clicking “Recover” bottom. Wish you success to recover the deleted data!